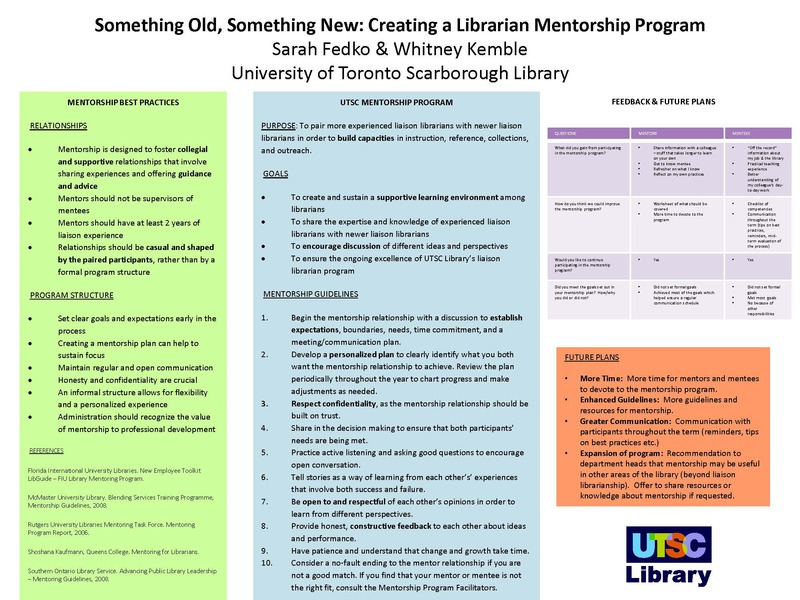 During the 2013/14 academic year, librarians at University of Toronto Scarborough are piloting a mentorship program for liaison librarians. Experienced librarians are paired with newer librarians to provide advice and support for liaison librarianship. Our poster will include an overview of current best practices in mentorship, as well as a description of our mentorship program. We will also discuss feedback that we have received from program participants, and future plans to ensure the effectiveness of this program as a professional development opportunity for new librarians.